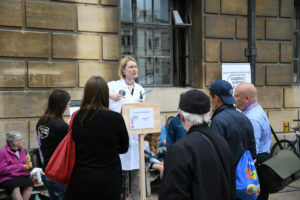 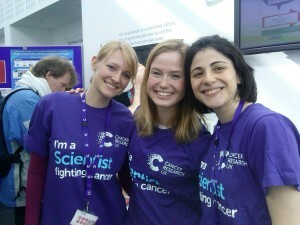 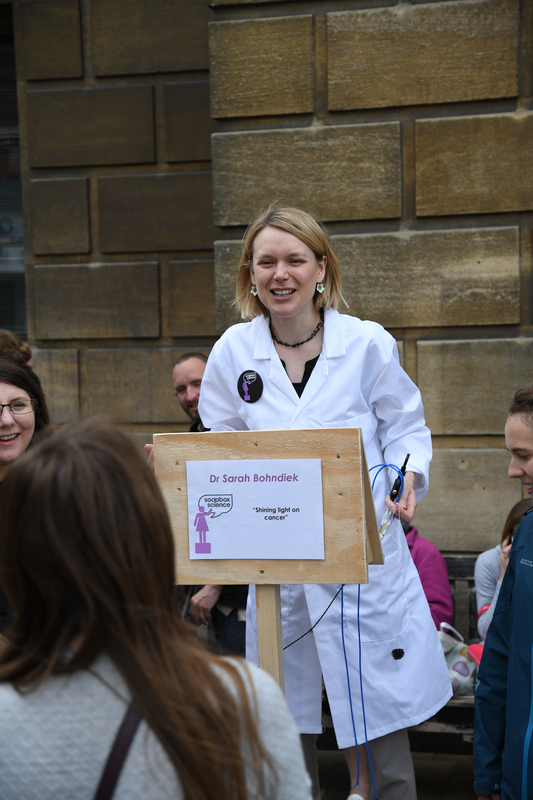 Members of the Bohndiek laboratory are regularly involved in events and workshops demonstrating scientific principles to the general public. Here, you can find some examples of the experiments that we present along with upcoming dates when you can see them performed. 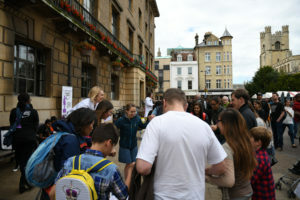 We had to think outside of the box (haha) for Soapbox Science – asking the audience to hold hands to set up waves, demonstrating wavelength and polarisation by changing the distance and angle of the oscillation. 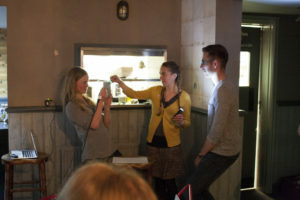 New flash cards were produced to handout at the pub!